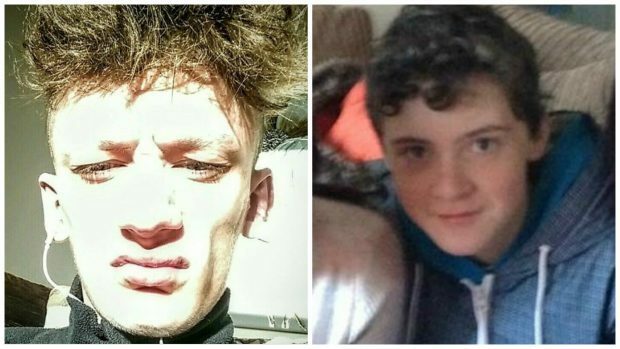 Can you help find these two missing teenagers from Montrose? Police have appealed for help in tracing two missing teenagers from Montrose. Brad Kyle, 16, is described as being about five feet seven inches tall, of slim build, with short brown hair and blue eyes. When last seen at about 6.10pm on Saturday he was wearing a padded light-coloured coat, grey jogging bottoms and black trainers. Dwayne Mawdsley, also 16, is described as being about five feet eight inches tall, of slim build with short brown hair. When he was last seen, at about 10.40pm on Saturday he was wearing a grey North Face sweatshirt, jogging bottoms and blue and black Nike Trainers. Dwayne has connections to the Blackpool and Edinburgh areas and Brad has connections to Dundee and Arbroath. They may have used public transport and they could be travelling together or separately. Anyone who knows Dwayne or Brad and knows where they are now, or has any information that could assist officers in tracing them, should contact Police Scotland on 101 or speak to any officer.